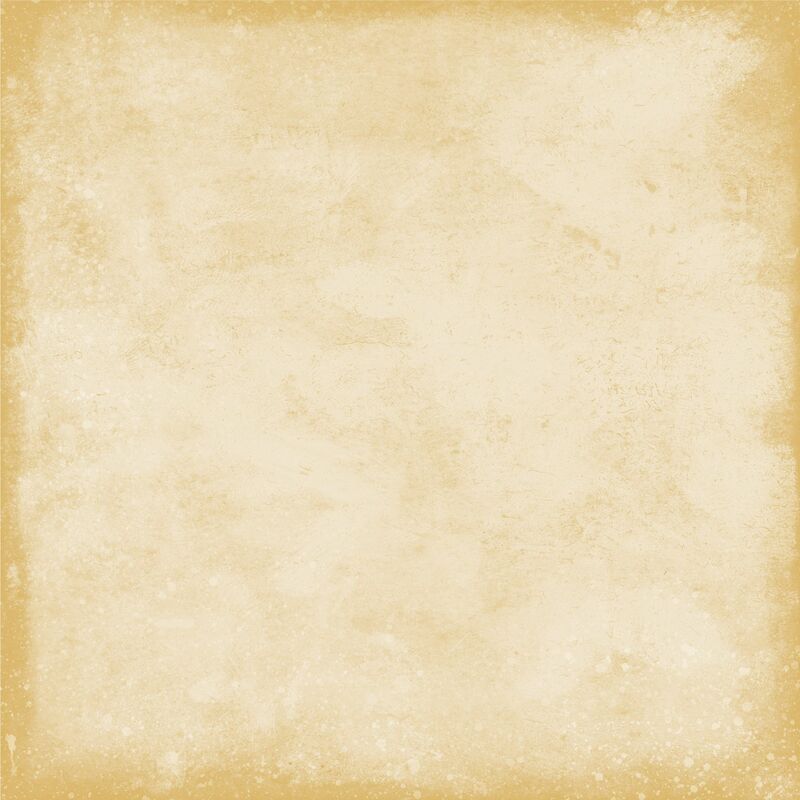 The Stalcop Family came into existence during the very early colonial days of America. The Colony of New Sweden was planted on the shores of the South, now the Delaware, River in 1638. The Colony extended from about the current city of New Castle, Delaware to Philadelphia, PA and over on the New Jersey side of the river. The founder of the family, Johan Andersson från Strängnäs, (John, the son of Andrew from Strängnäs, Sweden) sailed for the Colony of New Sweden in 1640 and arrived in the spring of 1641. He worked as a farm hand for five years. In 1646 Johan Andersson became a soldier for Governor Printz and later served under Governor Risingh. Dutch forces under the command of Peter Stuyvesant captured him in 1655 when Fort Trinity was surrendered during the Dutch invasion of the colony. 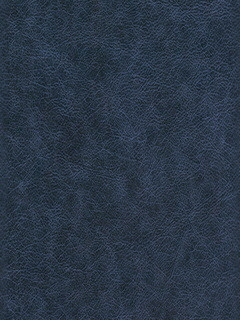 The family name is derived from Johan Andersson’s nickname, Stålkofta, the Steelcoat. Based on pronunciation English clerks after their invasion and capture of the family in 1664 spelled it as Stalcop and eventually that spelling was adopted as the family surname. The Stalcop Family is an entirely All-American family. The family name has never existed anywhere else except in the United States. A number of different flags have flown over the family in America. Some of them are shown below. The missing national flags are mostly variations of two flags, the Confederate National Flag and the United States National flag. The variations of each are the differing numbers of stars in the field. A number of different state flags have flown over the family as well. Johan Andersson från Strängnäs, or as he was later known, John Andersson Stalcop, lived under the Swedish, Dutch and English flags. His children did not. Only Dutch and English flags flew over them. 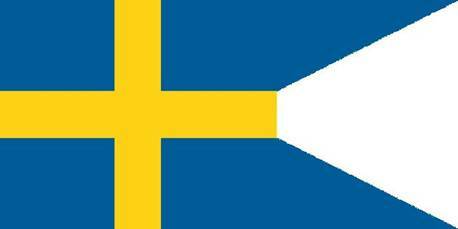 This Swedish National flag flew over the Colony of New Sweden in America from 1638 to September 1655. It was also the Swedish Naval ensign. The flags used in the colony were obtained from the ships that brought the settlers of the Colony on the South (Delaware) River. This two-tailed flag flew over the Stalcop family until the loss of the Colony. Some illustrations incorrectly show a three-tailed flag with the horizontal yellow bar extended and made into a tail. For nine years this flag flew over the children of Johan Andersson från Strängnäs. This flag began flying over the Stalcop family in September 1655 when Dutch forces led by Peter Stuyvesant captured Johan Andersson från Strängnäs and conquered the New Sweden Colony. The British flag supplanted it nine years later in 1664 when the English captured the New Sweden Colony from the Dutch. This British flag flew over the Stalcop family 113 years from 1664 until the United States flag supplanted it in 1777 during the Revolutionary War. 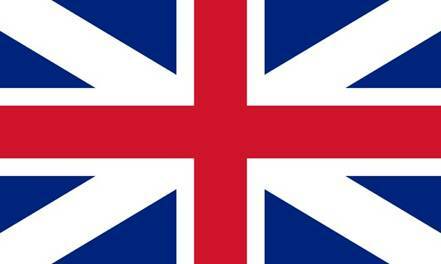 It is slightly different from the current British flag. It flew over the second generation to the fifth generation including Pietter Stallcop, John, Peter and William Stalcop in Delaware and North Carolina. Beginning when it was adopted by Congress in 1777 the flag of the United States of America has flown over the Stalcop family. 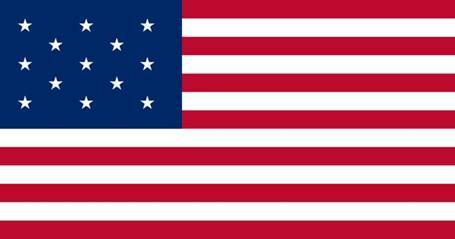 Sixth generation Peter Stalcop fought in the Revolutionary War under the first United States flag. Congress, for a National Emblem of the United States, did not adopt the so-called “Betsy Ross” flag with the stars arranged in a circle. The first official flag had thirteen stars and thirteen strips arranged as shown above, one star plus one strip for each of the original states in the Union. Peter Stalcop, William Stalcop/Stallcup and John Stallcup all lived under one version or another of the United States flag. Mostly in North Carolina. The plan was to add both a star and a strip for every new State admitted into the Union. This plan quickly became unworkable. This flag was flying over Fort McHenry during the War of 1812 when the Star Spangled Banner was written. It had fifteen stars and fifteen strips. 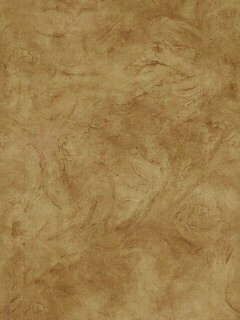 With just two added strips it was already becoming distorted. The number of strips was then fixed at thirteen. When the Civil War broke out another flag appeared. It largely depended on where your home was located as to which flag flew. Our family was located in North Carolina so the Confederate National flag flew over the Lucius Harvey Stallcup family. This flag flew over the Stalcop Family for the duration of the Civil War. One of the first acts of the Provisional Confederate Congress was to create the Committee on the Flag and Seal, chaired by William Porcher Miles of South Carolina. The committee asked the public to submit thoughts and ideas on the topic and was "overwhelmed by requests not to abandon the 'old flag' of the United States." Miles had already designed a flag that would later become the Confederate battle flag and he favored his design over the "Stars and Bars" proposal. But given the popular support for a flag similar to the U.S. flag the Stars and Bars design was approved by the committee. When war broke out, the flag caused confusion on the battlefield because of its similarity to the U.S. flag. The more familiar Confederate Battle flag was then displayed to end the confusion. The Battle flag was never the National Flag of the Confederacy. This seven star version was flown from March 5, 1861, to May 26, 1863. 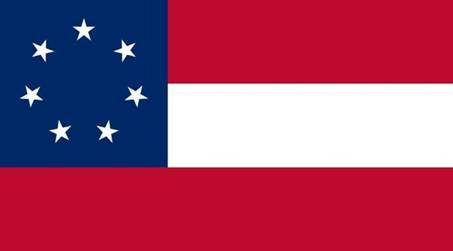 The National Flag of the Confederacy was designed by Prussian artist Nicola Marshall in Marion, Alabama. It was adopted March 4, 1861 in Montgomery, Alabama and raised over the dome of that first Confederate Capitol the next day. Marschall also designed the Confederate uniform. 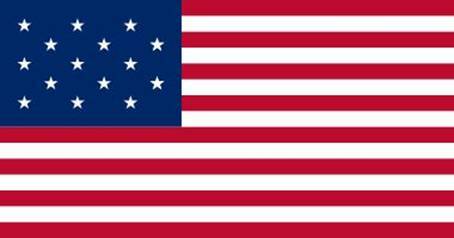 Eventually four versions of the flag were authorized differing only in the number of stars. Seven, nine, eleven and finally thirteen stars versions, a star for each state that joined the Confederacy, would appear. The first public appearance of the 13-star flag was outside the Ben Johnson House in Bardstown, Kentucky. 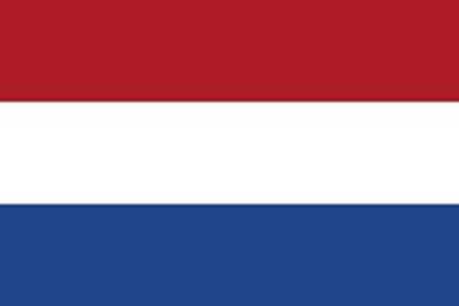 The 13-star design was also used as the basis of a naval ensign. 47 years. This is the second longest period a version of a US flag has flown. This is the flag that flew during World War 1, World War 2 and the Korean War. All descendants of the Lucius Harvey and Almarine Hall Stalcup family during the 20th and 21st centuries have lived under either the 48 star or the 50 star version, or both, of the United States flag. The admission of Alaska and Hawaii into the Union as states brought the count of states up to fifty. 49+ years. This is the longest period a single US flag design has flown. Thirty-seven new states, resulting in thirty-seven new stars being added to the various versions of the United States flag during the more than two centuries one version or another of this flag has flown over the Stalcop Family.